What can we say.. Henry is all heart (but we're pretty sure you already know that). This is why he's our Superman! Hope every hero out there is having a wonderful day! Seguro !!!! me pondre mi camisa de Superman, porque desde niña Superman ha sido mi superheroe favorito. Y precisamente tu convertirste ese sueño en realidad porque cuando yo veia las caricaturas de la Liga de la Justicia yo me imaginaba al Superman de carne y hueso asi como tú. Besos. Definitely!!!! I'll wear my Superman shirt, because since being a girl Superman has been my favourite superhero. 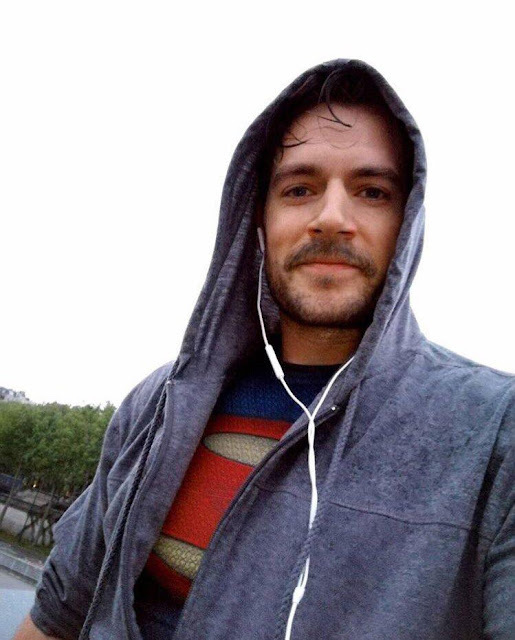 And precisely you turned that dream into reality because when I saw the cartoons of the Justice League I imagined Superman flesh and blood just like you. Kisses. Wow, that shirt looks like the real deal! This post is freaking awesome. Superman leads by example, ALWAYS.